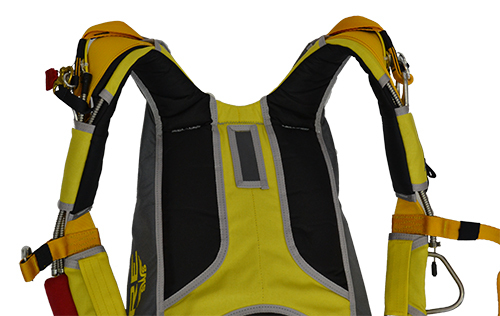 The sophisticated shape of shoulder straps allows to adjust the harness system exactly right and in the most appropriate way to provide maximum comfort and safety. 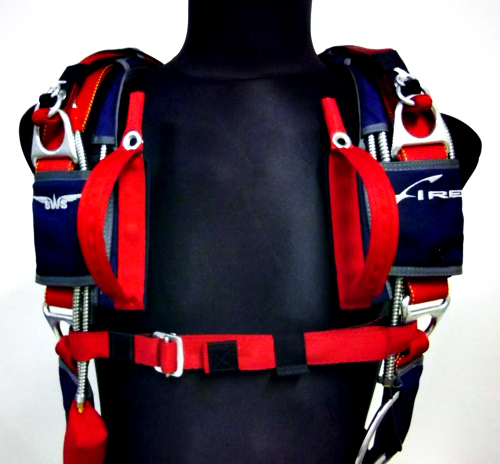 When system is put on, the shoulder straps bring together the system on the chest, facilitate the work in the harness system, and prevent it from slipping off in case of narrow shoulders. 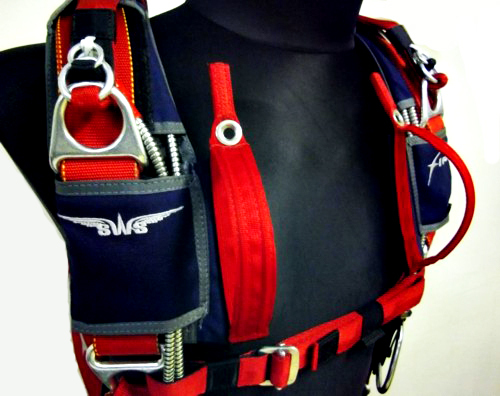 Optionaly, for CRW jumpers, there is additional mounting location for toggles.